Dwayne PERREAULT - “Why don’t you import wine yourself?” I’ve been asked this question a number of times, and I got to wondering why. My answer is sincere and always the same: because I don’t have to. Yet if I leave it at that, the person gets a puzzled look on their face and I realize I haven’t satisfied their curiosity. You see, in order for someone to ask that question, it must be generally regarded that there is nothing finer than being a wine importer. It’s as if that is what every person who works in the wine industry aspires to do. It’s true the Dutch have a long history of being traders and merchants, particularly in wine. A quick internet search will show you that this has not changed much in the past 400 years. Only God and the Chamber of Commerce know how many wine importers there are in the Netherlands, but Holland’s Master of Wine Frank Smulders once told me there are “far too many.” There are importers specializing in virtually every wine producing region in the world, whether it be Australia, Hungary, Canada or India (who in the Netherlands drinks Indian wine?). Some of these people might be pure hobbyists: tourist goes on vacation, “discovers” a wine and decides to start importing it. Others are more serious, bringing a wealth of knowledge and expertise to what they do. And they are the reason I do not feel any need to import wine: I am extremely satisfied with the selection and prices of my smaller wine importers, who are able to negotiate with smaller houses. But I have one large importer, and not your average one either. My business, wineontime.nl, is the only online wine shop which is able to buy wines from Vos & Partners, who deal exclusively in gastronomical wines for restaurants and hotels. Vos & Partners is part of the Dirkzwager Groep, the largest wine and spirit importer in the Netherlands. In this way, I am able to offer my customers the same wines they might find, for example, in the Amstel Hotel (but for more friendly prices). Every year Vos & Partners hosts a large tasting event for its clients. This year it was held in Landgoed Duin & Kruidberg, a turn of the century estate in Sandpoort, next to the dunes. 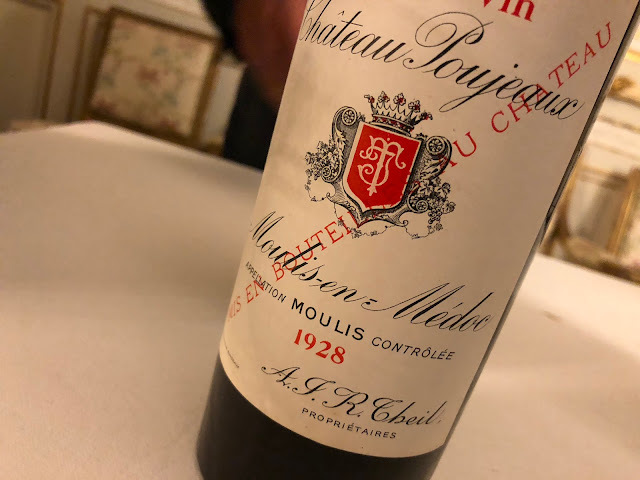 The winemakers from 33 reputable producers, including Lafite Rothschild, Jean-Claude Boisset, De Ladoucette, Faustino, Buisson-Battault and Château Fortia were assembled to present their wines. More on that in my next posting.